Nationwide, attention has turned to the state of our infrastructure and the urgent need to upgrade roads, bridges, transit and utility systems. These concerns, however, extend beyond safety alone. The health of our infrastructure affects quality of life, civic pride, and economic and environmental conditions, as well as education, health, and social cohesion. These RBA infrastructure project winners have had outsize impact in their cities in part because they have had great civic champions. Each project is more than the sum of its parts. The Providence River Relocation project in Providence, Rhode Island, was the result of highly ambitious capital planning initiatives and investments over 30 years, which redirected rivers, overhauled transit infrastructure, and reduced congestion. The strategy involved creating a new rail station, rerouting highway interchanges, and adding twelve bridges to restore historical links among the city’s districts, as well as creating a new downtown riverfront, 1.5 miles of walks, and a new urban park. Driving it were civic leaders, philanthropy, businesses, and local and state government leadership, including the governor, who continuously explored new options to improve the result and engaged widespread public participation. 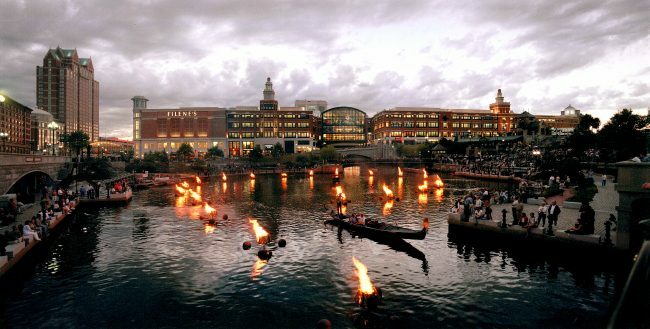 Now crowds of locals and tourists routinely flock to programming like WaterFire along the river’s edge. On a smaller scale, a privately funded public-private partnership, led by a local business leader, propelled the conversion of a Boston parking garage, a major eyesore in the heart of the business district, into a jewel of a park. 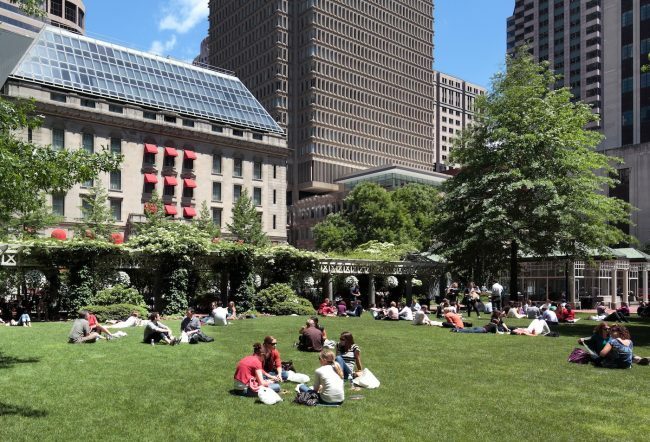 The Park at Post Office Square–formally the Norman B. Leventhal Park–proves that enlightened self interest can be a powerful basis for creating public benefit. A new parking facility underneath the site supports park operations, reducing traffic congestion in the process. 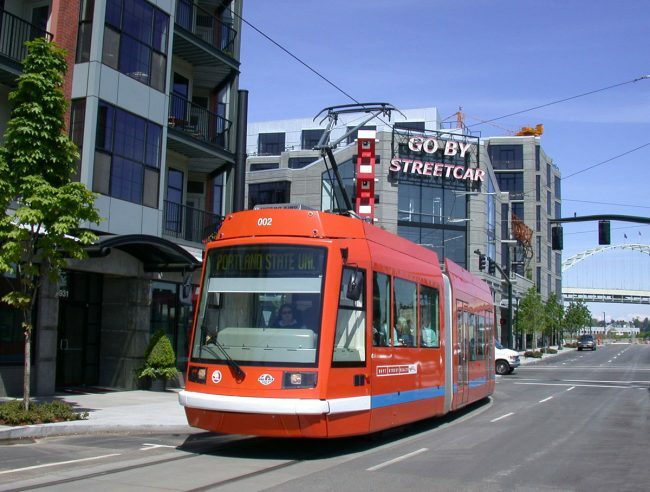 On its face, the Portland Streetcar project in Portland, Oregon is about transit, but it’s also a compelling example of incremental transit-oriented development that has boosted the city’s comeback and growth. Regional coordination guided the project through decades of implementation, with community debate at every step. And it’s notable for its innovative agreements with landowners, practical and economical design, and creative financing. Local confidence in the streetcar was so high that developers invested heavily in housing and commercial development before the system was even operational. Today there is a 15-mile loop on both sides of the river, and parks and neighborhoods have replaced former brownfields. The streetcar has become a mark of identity for the community and the centerpiece of a national and international movement for streetcar and light rail use. These RBA winners illustrate the value of developing a vision for urban investment with a broad view of community welfare. They remind us of infrastructure’s ability to contribute to quality of life, especially when it is the product of civic aspiration, persistence, and cooperation among a wide array of interests, generating a sense of community pride and ownership among those participating in the process of its creation and implementation.